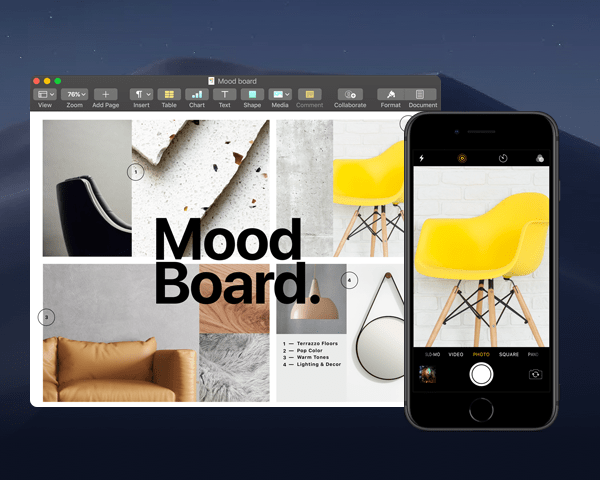 Mojave 10.14 is compatible with Mac systems from mid-2012 or later, as well as 2010 and 2012 Mac Pro models that include the recommended Metal-capable graphics cards. If you’re rocking one of those systems, then discovering what’s new in Mojave would be of great help. To switch between the Light and Dark mode, use the Appearance controls you’ll find in System preferences > General. Simply click on Dark Mode or Light Mode in the Appearance section to enable one of them. What’s even better is that the feature works in Xcode, making it a game-changer for developers. 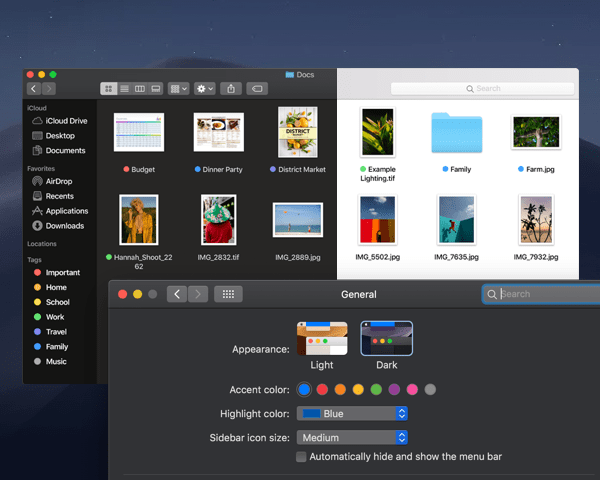 So no wonder Dark Mode has been regarded as one of the favorite macOS Mojave features – long before the official release. 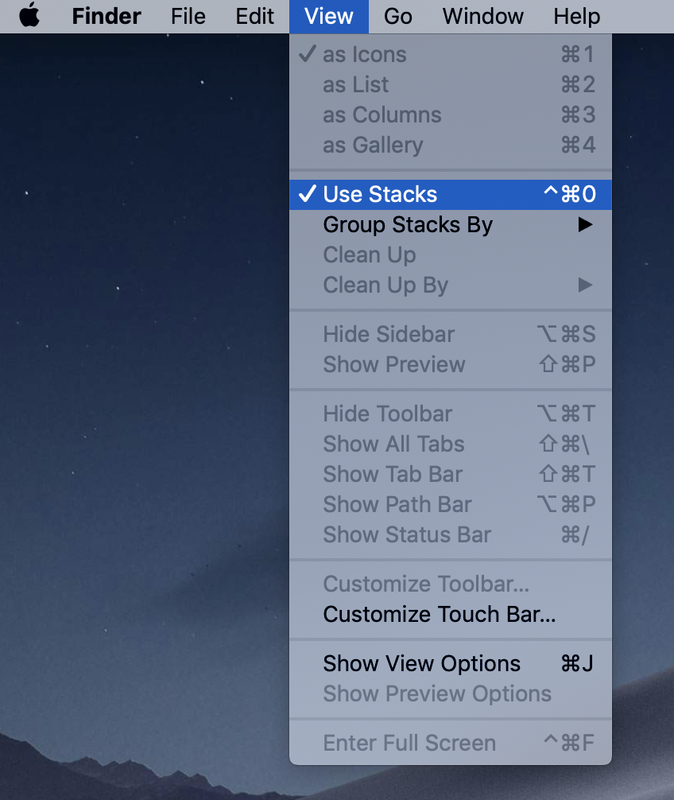 To turn on stacks: in Finder menu bar, choose View > Use Stacks. 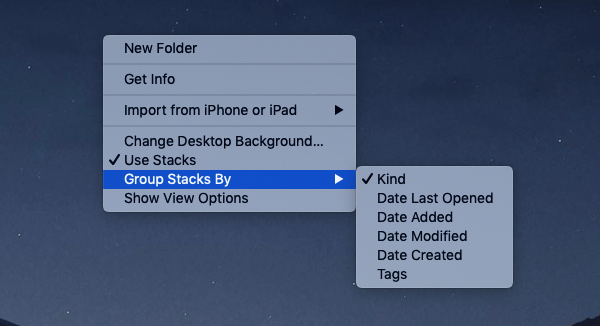 Stacks can be organized by file type, date, tags, and more. By clicking on a stack, you’ll see its contents, from there you can double-click on whatever it is you want to open. If you’re looking into alternatives to Stacks, try the apps like Unclutter, Declutter, and Spotless. Unclutter offers a handy place to store all of your sticky notes and clipboard history for instant access. 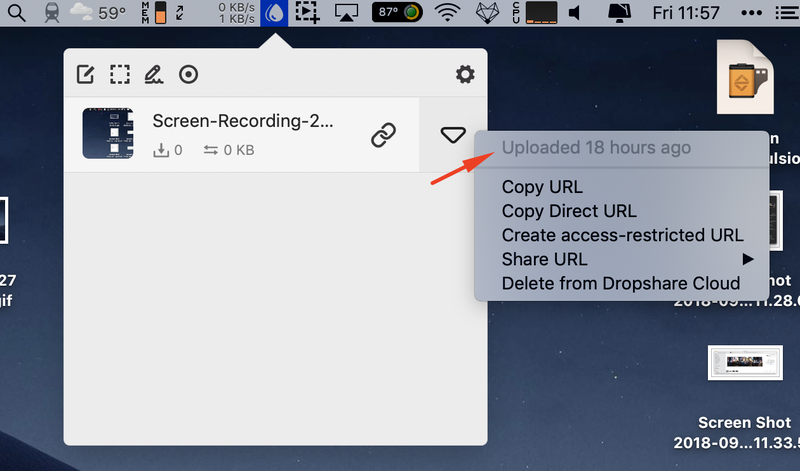 It also syncs all of your files and notes via Dropbox (something Stacks doesn’t do), so that you can access them on any Mac, from anywhere that has an internet connection. While Unclutter lets you easily transfer files across temporary created folders, Declutter organizes all files into nice-looking folders automatically. Spotless is another app that helps you keep desktop tidy, moving files across specific folders. There’s also a possibility to schedule automated tidying or restore files that Spotless has already processed. You can get your hands on all of these apps right now, with a free Setapp trial. The new recent-apps section is smart enough that it shows only recent apps that aren't already in your Dock. To make the most of your docking space, try uBar – an awesome replacement for a traditional Mac dock. 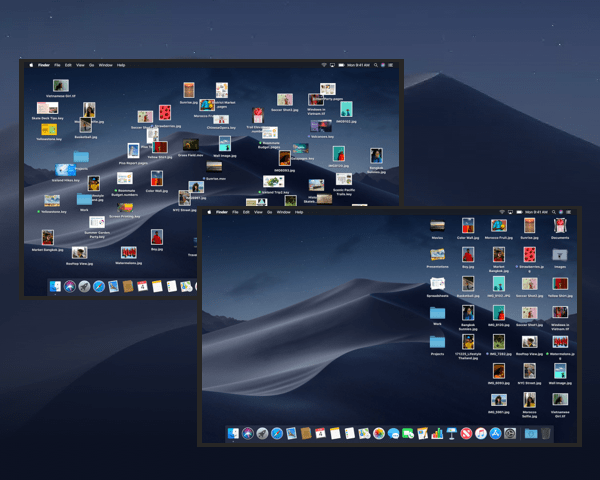 In a multi-monitor setup, you can have custom task bars for each screen, as well as organize your apps in a specific order or choose favorites in a typical-looking dock – customization capabilities are huge. 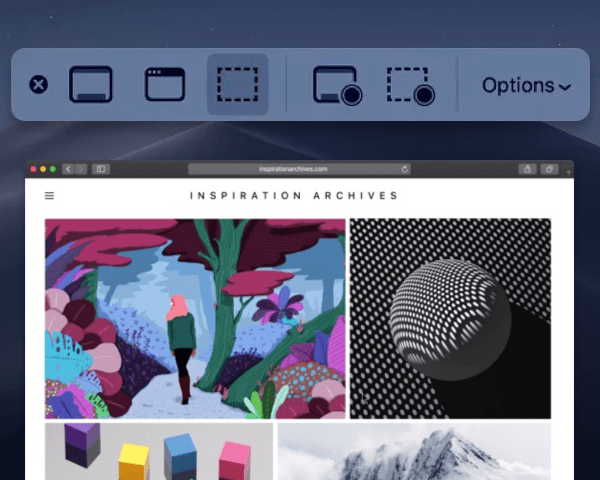 macOS 10.14 has borrowed from iOS with the introduction of a new screenshot tool that includes immediate thumbnail previews for faster sharing and annotations. It's easier to record what’s on your screen too, thanks to a new screengrab menu that includes a countdown delay timer. Another nice touch is the ability to show or hide the cursor. Screen recording is made super convenient in Mojave. You can either Record Entire Screen or Record Selected Portion and use contextual menu to choose where to save the screenshot – could be desktop, mail, clipboard, documents, messages, or preview. What’s more, users can set a custom timer for screen recordings, show the mouse pointer in screenshots, or edit recordings. While the new screenshot tool makes it easier to grab a quick image of your screen, if you’re looking for a more robust and feature-heavy screen capture app for tutorials, Capto is still the go-to. The app’s all-in-one screenshot, recording, editing, and sharing features make it the perfect platform from which to make professional videos. What’s more, you can actually choose the shape of your screenshot – whether you want to capture a specific area of the screen in a circle, rectangle, or freehand. If you want some extra sharing capabilities, Dropshare is the perfect option. The app helps you save screenshots and recordings directly to a central cloud manager. Just capture the recording – you may choose whether to record it as gif or HD – click the red button to stop when you’re done, and upload the recording in one click. Additionally, there's greater protection against social media “Like” and “Share” buttons and comment widgets that track you without permission. That's all thanks to Safari’s new Intelligent Tracking Prevention — a Mojave feature that also securely stores strong passwords when new online accounts are created and flags reused passwords, so they can be changed. 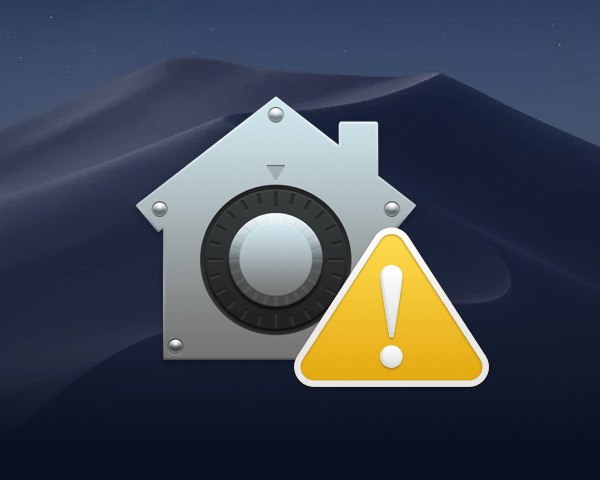 While we’re on the subject of security, here’s a useful macOS Mojave tip: store your passwords with Secrets. Secrets is a secure password manager that lets you generate and store strong passwords for all of your online accounts and sync them with iCloud, so that they can be accessed across all of your Mac and iOS devices. The app complements Mojave’s new security feature perfectly and keeps all of your passwords away from the bad guys. Plus, if you ever forget a password — which will happen at some point — you’ll find it in Secrets. If you want to stay on the safe side, using duplicate passwords across different devices is a definite no-no. With macOS 10.14, you don’t have to worry. While the system does all the auditing automatically, there’s no need to write down your passwords. Just go to Preferences in your Safari menu, click Passwords, and you’ll see exclamation marks next to each entry with a duplicate password. For those who can’t stand distractful videos in Safari, we have the good news. In macOS 10.14 Mojave, you can turn-off all autoplay content on the sites of your choice. Enter a URL in your Safari preferences, click Never Auto-Play, and you won’t be annoyed by video ads on this website ever again. Another important update relates to the strengthened control over app permissions. 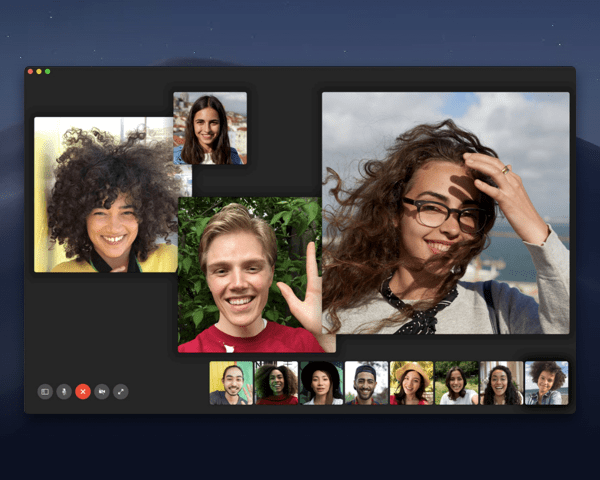 In macOS Mojave, no app can record video or capture images without your explicit permission to use camera and microphone. 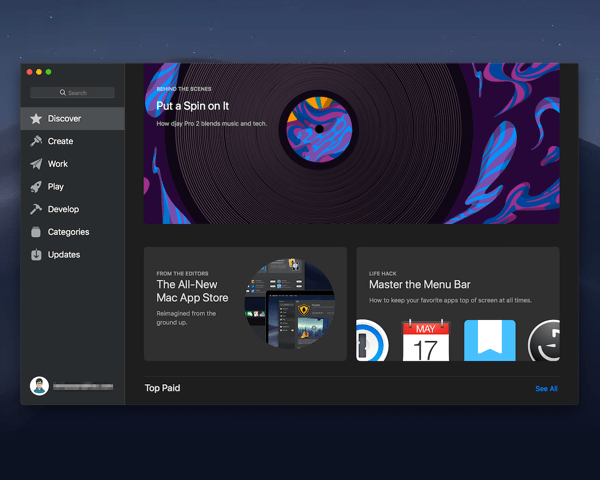 This is a great addition to Mojave’s Dark Mode. Dynamic desktop feature changes your wallpapers based on the time of the day, so that your eyes don’t hurt. No more wasting time with search for the right image. The Gallery View lets you see big previews of your files. Through the updated Quick Look, you can work with your files without having to open them fully in an app. From image cropping to file sharing, you’re all-powerful here. Perform any action on your file(s) – lightning fast. Quick Actions feature helps you jump right into it. Thanks to Complete Metadata update, you can now view and customize metadata associated with each file. Here’s another useful feature working alongside Finder’s Gallery View. In Mojave, to use shortcuts or workflows for repetitive actions, you no longer have to go to Automator app to trigger them. Just import all quick actions from Automator to Gallery View’s options and enjoy the speed. 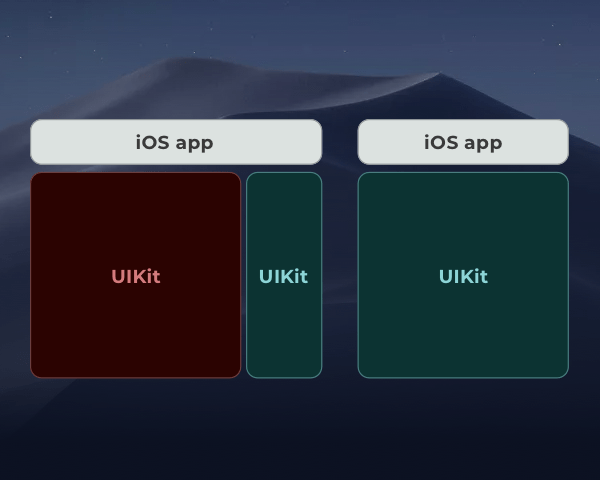 For the users of Apple’s HomeKit, the new Home app is a perfect tool to control lights or any other smart devices – all in one place. Connect the app to your iCloud and it will show all HomeKit devices that you currently have. If you are doing this for the first time, all of them will be marked as favorite, so you might want to remove some items to build your custom list. With Mojave, Apple adds macOS-optimized Apple News to to the Mac. 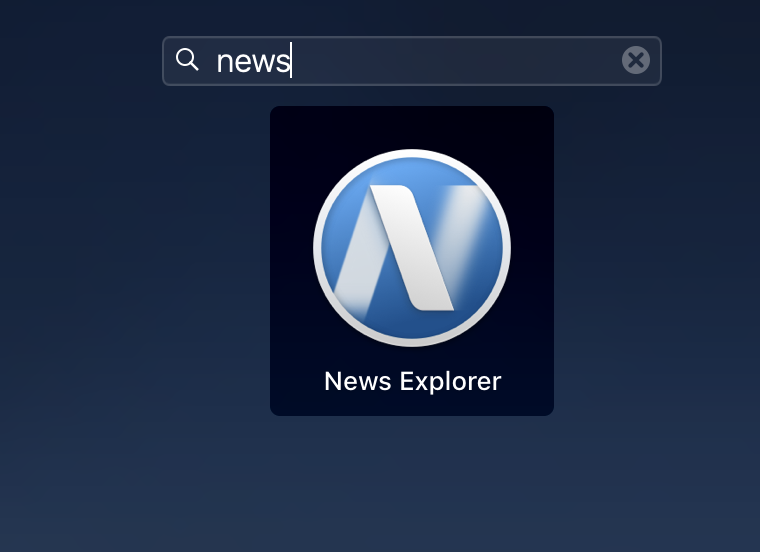 If you are already an active user, you’ll be happy to know that the News app is synced with the iOS version, so you can get a quick access to your favorite sources on Mac right from the start. Right now, the app is available only in a few selected countries like US, UK, and Australia. If you can’t get your hands on Apple News due to geographic restrictions, News Explorer is a decent alternative. This handy newsreader Mac utility is a great tool for reading, marking, and sharing content online. Another app that came from iOS is the one that lets you record, edit, and share audio. Just as Apple News, Voice Memos syncs with iOS, which means you can quickly transfer your voice records from iPhone and iPad to the Mac. To keep your recordings up to date, iCloud makes edits across all your Apple devices. Do you also get this feeling that you need to add some “scream and shout” to your emails sometimes? Okay okay, smiley faces are also a good idea. The Mail app in macOS Mojave will help you infuse your emails with real emotions. Get your hands on the huge collection of emojis available in the app - there’s definitely a face that adds extra color to each of your messages. You can also configure the size of the emoji, making it look smaller or bigger in the email body. The old good Siri gets smarter in macOS Mojave. Not only is Apple’s voice assistant aligned with HomeKit, it can also help you find saved passwords. Mojave now takes better care of your files. As promised, Apple made APFS work with Fusion Drive in macOS 10.14 - the unity which enables you to create, resize, and store multiple volumes of data more efficiently on your Mac. Probably the most controversial feature, Recent Apps can be disabled in macOS 10.14. Because many users don’t want to load their docks with recently opened apps (on top of those that already there), they may choose not to. If you are one of them, just go to System Preferences, select Dock, and untick the box Show recent applications in Dock. 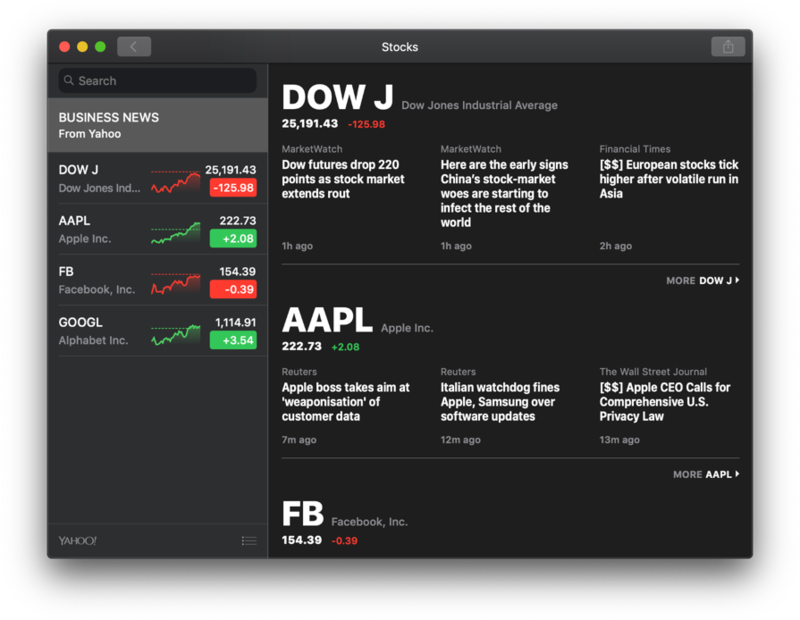 Another iOS app that was brought to Mac with Mojave is called Stocks. Basically, the app gives you a centralized space for tracking the top stories about your favorite companies, reviewing stock prices, and learning more about the markets. For those interested in cryptocurrency tracking, Setapp has Moonitor – the app that helps monitor crypto assets. While this is Apple’s biggest and best macOS yet, there are lots of major improvements, as well as hidden features in Mojave, which make the upgrade totally worth it. Combine all these tips with the tried-and-trusted apps in the Setapp collection and you’ll be one happy Mac user.